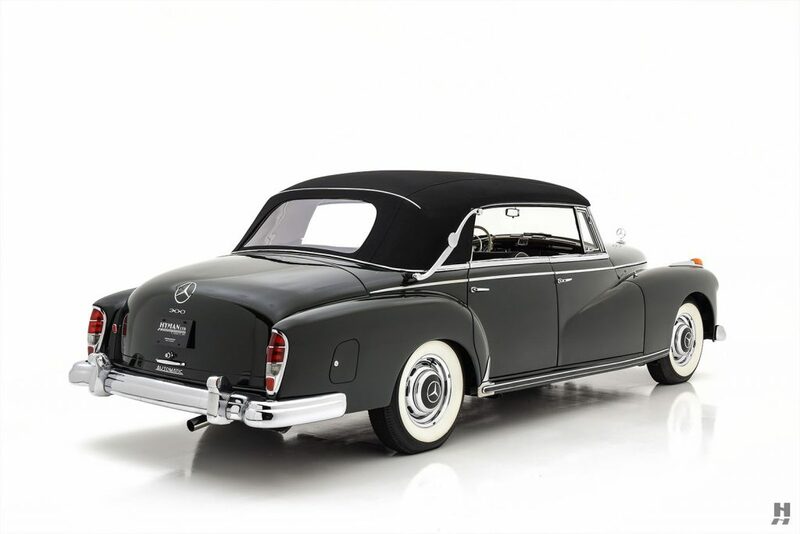 This 1959 300d Cabriolet is a marvelous example of Mercedes-Benz’s iconic luxury car. 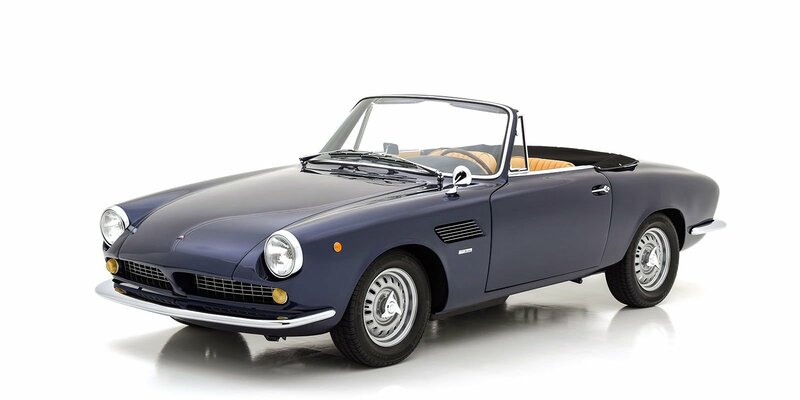 The four-door Cabriolet one of the most desirable models in the Adenauer range, with stunning presence and exceptional rarity – as it is one of just 22 cabriolets built in 1959, out of a total production of only 65 units. 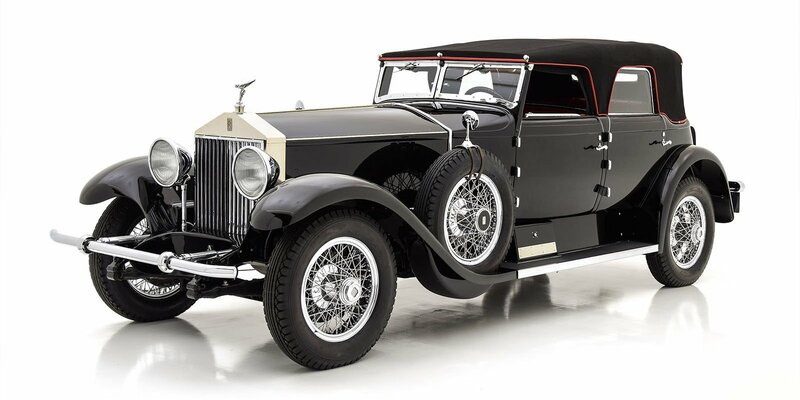 This original US-market example comes recently from an extensive private collection, and it presents in an elegant dark, non-metallic green with black interior trim and a black hood. 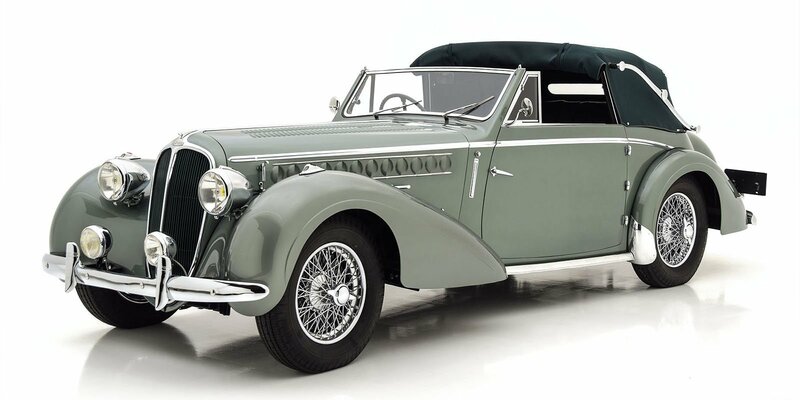 It features an attractive, well-maintained older restoration with high-quality paintwork and excellent, straight panels. 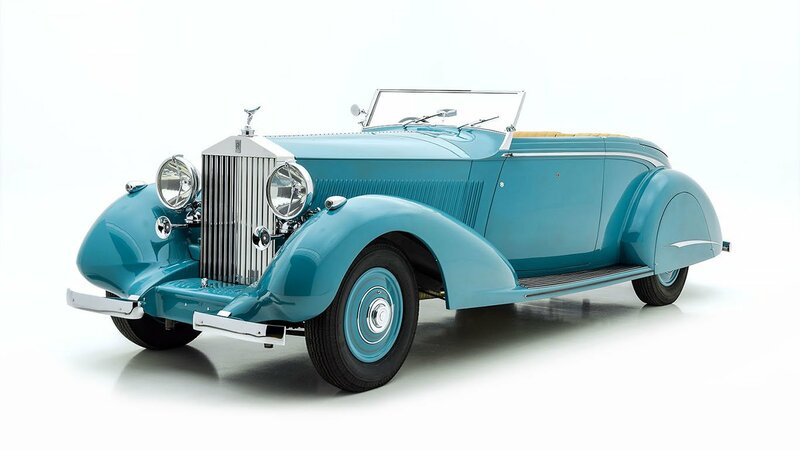 The paint has a deep gloss, with only a few minor imperfections and touch-ups accounting for the car’s careful and occasional use. 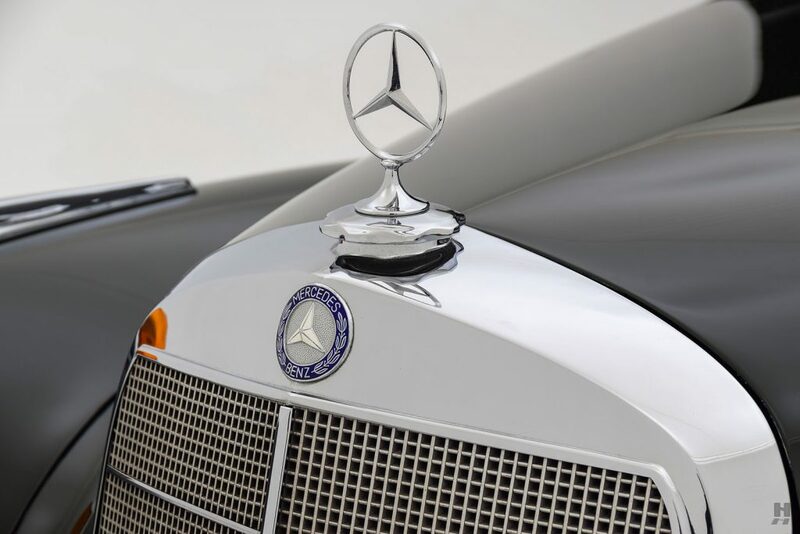 The extensive chrome and brightwork are in similarly fine order, appearing straight and with excellent finishing. 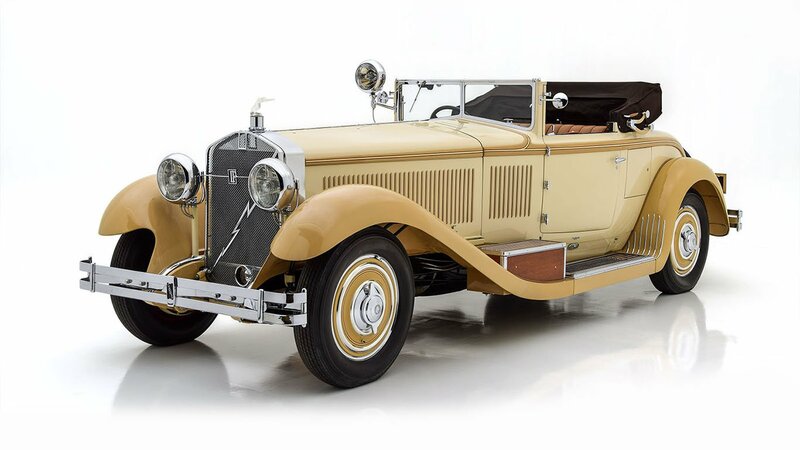 Bumpers, headlight trims, and the proud, upright radiator grille present in excellent order, with only minor polish marks visible upon close inspection. The convertible top is covered in correct-type German canvas and includes a matching boot. It retains appropriate Bosch lamps all around and rides on proper chrome wheels with color-keyed hubcaps and wide-whitewall cross-ply tires. Passengers enjoy opulent, wood-and-leather trimmed accommodations. The generous seats are trimmed in black leather, and display a wonderful character with light creasing and a pleasing luster. The door cards are upholstered to match, capped with beautiful wood trim that wraps around to include the dash and windscreen pillars. 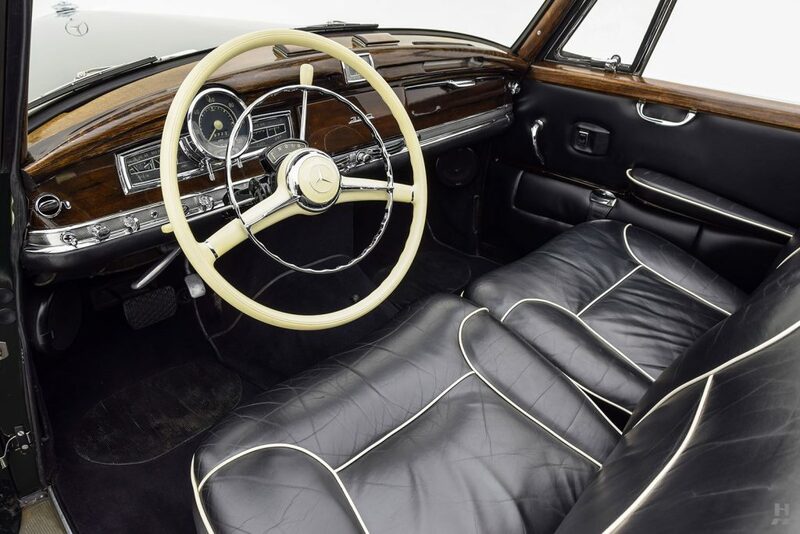 The dash features original instruments, switches, and bright metal trim, along with the signature ivory two-spoke steering wheel, while a modern stereo is discreetly concealed behind a matching wood panel. Additionally, electric windows have been added for convenience.